Mary Ada Norman was born on 26 March 1879 in Brompton Park, South Australia , daughter of Thomas Norman and Agnes Rubina Mortlock Oxlade. On 19 May 1900, Mary, aged 21, married John Coldwell, aged 24, son of Henry Aquila Coldwell and Fanny Gandy, in All Saints Church in Hindmarsh, South Australia . At the Methodist Church, Crystal Brook, the marriage of Florence, Eldest daughter of Mr. and Mrs. John Talbot, and Robey, second son of Mrs. and the late Mr. William Coventry, was conducted by Rev. W. H. Brasher. Mrs. ogilvie was organist. The bride was given away by her father. She wore a frock of white silk crepe moulded to the figure and slightly flared from the knees. The bodice was full with smocked neck, and buttons from neck to waist at the back. The sleeves were tight-fitting, with buttons from elbow to wrist, and a plaited belt was round the waist. Her tulle veil was worn off the head with a stiffened halo. She carried a sheaf of white gladioli and roses, with touches of the palest pink. Misses Helen Talbot (sister of the bride) and Mary Coventry (sister of the groom) were bridesmaids. They wore powder blue self-striped mousseline cut on the cross and flared from the waist. The bodices were ruched and sleeves were elbow length and ruched. They wore showers of blue tulle with stiffened halos attached to a bandeau of white flowers, and carried sheafs of pink gladioli and roses with a touch of white. Mr. E.Coventry was best man and Mr. L. Hutchinson groomsman. A reception was held in the banquet room of the institute, where about 80 relatives and friends were received by the bridal party. The bride's mother wore blue silk crepe, relieved with white accessories, and carried a posy of blue flowers. The bridegroom's mother chose black silk morocain relieved with white and gold, and held a posy of red roses. She died on Monday, 6 February 2006, aged 86 years, 3 months and 10 days, in Crystal Brook, South Australia . Helen (Nell) Joyce Talbot was born on 17 January 1923 in Crystal Brook, South Australia , daughter of John Henry Talbot and Eliza Alice Oxlade. In 1942, Helen, married Arthur Roy Brown, son of Roy Brown and Kathleen Farrell. A pretty wedding was celebrated iu St. Mark's Church on Saturday, with Fr. P. Coffey officiating, when Helen, second daughter of Mr. and Mrs. J. Talbot, of Crystal Brook, and Roy, eldest son of Mr. and Mrs. R. Brown, of Solomontown, were united. The bride, who was given away by her father, wore a gown of white chiffon and lace over satin, merging into a long train. The long veil was arranged with a coronet of orange blossom. She carried a beautiful sheaf of white flowers and fern. Mrs. Walden, of Adelaide (bridegroom's sister) was matron of honor. She was gowned in turquoise blue lace over taffeta. Miss Joan Kirby, bridesmaid, also wore blue lace over taffeta. 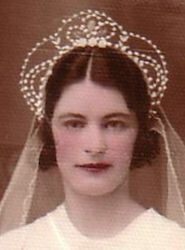 Miss Laurel Talbot (bride's sister) and Daphne Brown (bridegroom's sister) were frocked in lemon lace over taffeta and wore veils of shoulder length. Mr. Douglas Brown was best man and Mr. Leo Ryan groomsman. Both came from Adelaide for the ceremony. As the couple were leaving the church lucky horseshoes were hung on the arm of the bride by little Maxine Wilkins, Patty Thompson, and Edna Talbot. The bride carried a handkerchief that had come from Palestine and wore a cross that had been sent from Jerusalem. The bride's mother chose a navy frock finished with a colored shoulder spray, and the bridegroom's mother Marina green with autumn tinted shoulder spray, beige handbag and gloves. For her travelling frock the bride chose blue, with a navy edge-to-edge coat and navy accessories. Mr. and Mrs. Brown, sen., the bridal party, Mr. and Mrs. J. Talbot, sen., Mr. and Mrs. C. Whelan, Mr. and Mrs. H. Evans, Mr. and Mrs. Blake, Mr. and Mrs. G. Nicholson (Adelaide), Mr. and Mrs. W. Brusnahan, Mr. and Mrs. Martin (Crystal Brook), Mr. and Mrs. Marriott. Mr. and Mrs. S. Beames, Mr. and Mrs. H. James (Gladstone), Mr. and Mrs. Waters, Mrs. Kirby, Mr. and Mrs. K. Synnett, Mr. and Mrs. H. Creasy, Mrs. C. Brown; Mrs. G. Thompson, Mrs. Pilgrim, Mrs. L. Maloney, Misses D. Fitzgerald & Jean Dally (Adelaide), Messrs. T. Mellett, J. Farrell, P. Davey, L. Maloney, J. Sutcliffe and F. Brown. On 17 January 2003,at the time of her 80th. 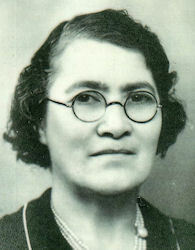 birthday, which she celebrated in Elizabeth with family and friends, she had 22 grandchildren & 26 great-grand children. In 1942, Arthur, married Helen (Nell) Joyce Talbot, daughter of John Henry Talbot and Eliza Alice Oxlade. 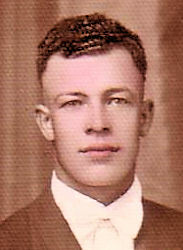 Clyde Arnold Noble was born on 31 May 1925 in Port Pirie, South Australia , son of Richard Percy Noble and Joanna Ruby Gates. Clyde was buried on 21 February 2002 in the Napperby Cemetery, Napperby, South Australia .